Sunday evening James and I attended the Spring Potluck and Open House at Johnson’s Backyard Garden. The weather was fair, the bands were lively, and food was excellent. 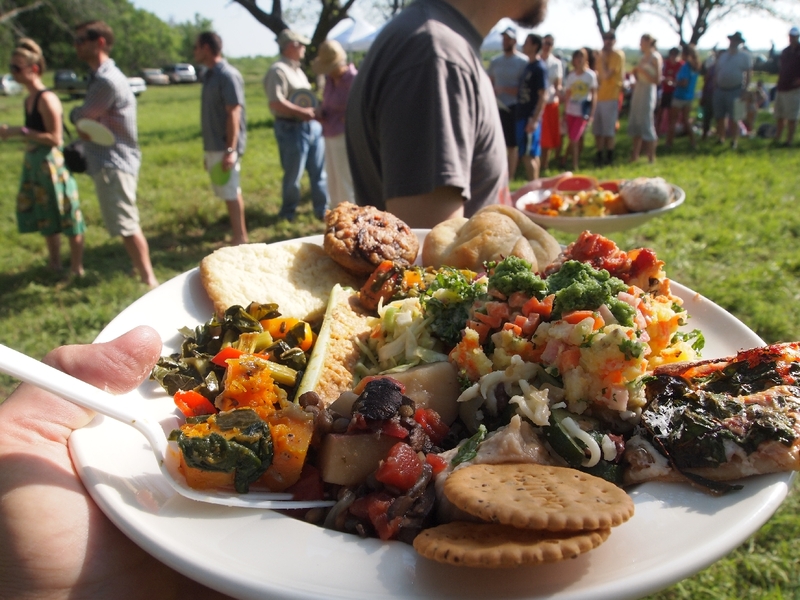 We have been attending these potlucks for more than four years and every year the potluck increases and we get to sample more and more delicious dishes prepared by fellow Austinites. James and I prepared a Peruvian causa filled with carrots, watermelon radishes, and seasonal herbs. We also prepared an ají verde with mint, parsley, cilantro, garlic, and a variety of green peppers. Causa and aji verde recipes both are featured in The Authentic Peruvian Vegetarian Cookbook. We brought a growler of the Fire Eagle IPA from Austin Beerworks to pair with the feast and musical accompaniment was provided by Christy Hays & Her Sunday Best, Little Mikey and the Soda Jerks, and Whiskey Shivers. It was a perfect evening of Texan atmosphere, good food, and great company. 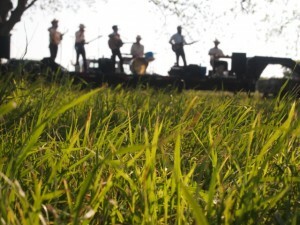 Little Mikey and the Soda Jerks playing in the Pecan grove at the JBG Potluck and Open House.